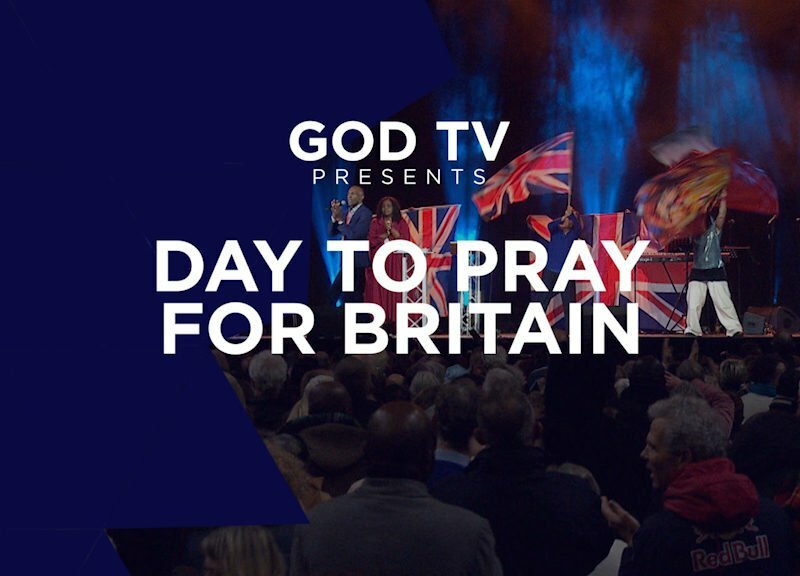 "God, who made thee mighty, make thee mightier yet"
As the UK continues to face huge challenges with the uncertainty over Brexit , thousands of Christians came together in London on Saturday January 26th to pray for an end to the confusion and for healing and unity. Now GOD TV presents viewers with an another opportunity to participate in this historic event and pray and intercede for the nation. Join us as part of the army of intercessors needed to bring the British Isles back to God! Hosted by David Hathaway of Eurovision Ministries along with diverse church and ministry leaders, the speakers include American prayer warrior, Lou Engle known for TheCall solemn assemblies and The Send. The British Commonwealth has been used by God as a powerful vehicle to take the Gospel to the nations of the earth and throughout the Commonwealth the song Land of Hope and Glory has been sung as an anthem. Nothing could be more fitting therefore than to sing this nostalgic song as a prayer right at the start of the Day To Pray For Britain. He explains that The UK is facing the greatest challenge since the Second World War and how the enemy has come to bring confusion but that every believer needs to claim the nation back from the devil. “Our primary objective in gathering today is to lift up the Name of Jesus and proclaim Him to be Lord and King over this land,” he says. Soloist Huw Priday then leads the mass crowd gathered at the SSE Arena, Wembley in a specially re-worded version of the classic. Watch the four-part video series below, which features diverse Christian leaders including: Clifford Hill, Tobi Adeboyega, Nims Obunge, James Aladiran, Elijah Chanak, Yemi Adedeji, Bishop John Francis, Betty King, Sid Cordle, Andrea Williams, David Hews and many other pastors plus representatives from Christians in Government. International speakers include: Lou Engle and Sharon Stone from the USA; Barry Segal from Israel and Berthold Becker from Germany. With worship led by Phil Woolley and the worship team from Truth Vine Church, Wembley led by Betty King.